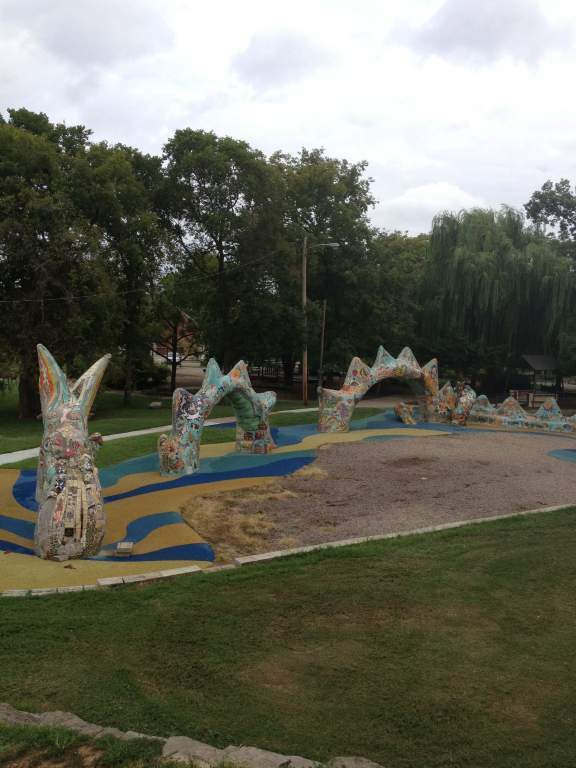 Better known as the Dragon Park, Fannie Mae Dees park is a great park for all ages and all abilities. It is located 2 blocks from Vanderbilt Children’s Hospital so if you ever have to spend time there this park is a nice escape. We first visited the park on our house hunting trip after hearing about it from another Mom at the zoo. There are several large playscapes that make up the park. 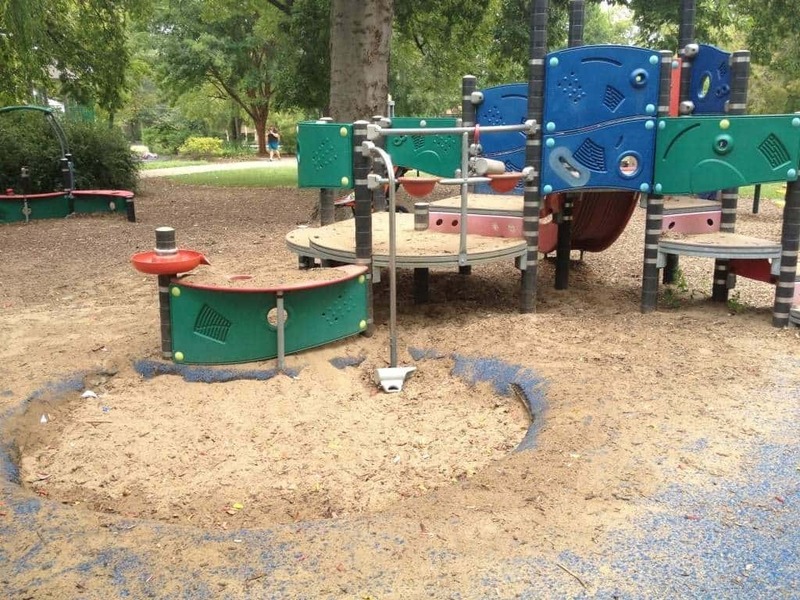 Most areas of all the playscapes are tree covered so there is plenty of shade for hot summer afternoons. The first is Lily’s Garden which is an all abilities play area. There are swings built for children with disabilities as well as a playscape that can be used by a child in a wheel chair. There is also a small sprayer that is turned on in the summer. The second area is geared toward smaller children. It has several bouncers and a small climbing area with a slide and a sand pit with a build in shovel. Bring your own shovels and buckets from home for more fun. 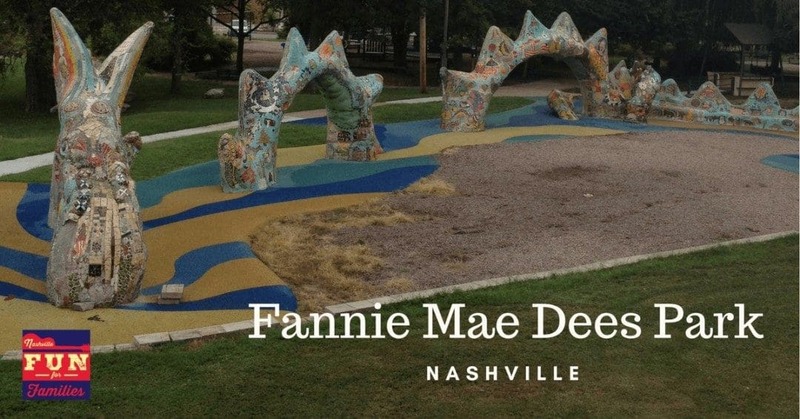 In the center of the park is a sculpture of a dragon that was built by Pedro Silva and decorated by local artists and Nashville volunteers. It is wonderful to climb on and great for family pictures. At the back of the park is another climbing area that looks like a huge pile of rocks. There is a tunnel built in and a slide. This is my 10 year old’s favorite area. It plays host to lots of imaginative play. If that is not enough to entice a visit, there are also tennis courts, a soccer pitch and some picnic tables with a water fountain. The bathrooms are clean and even have a changing table. They are located at the front of the park (nearest Blakemore Ave.). Now for the downside – parking. There is a small parking lot with 4 regular spaces and 3 handicap spaces. If you are not lucky enough to be one of those seven cars, street parking is available on both 26th Ave. and 24th Ave. South. Is this park available to rent for events? 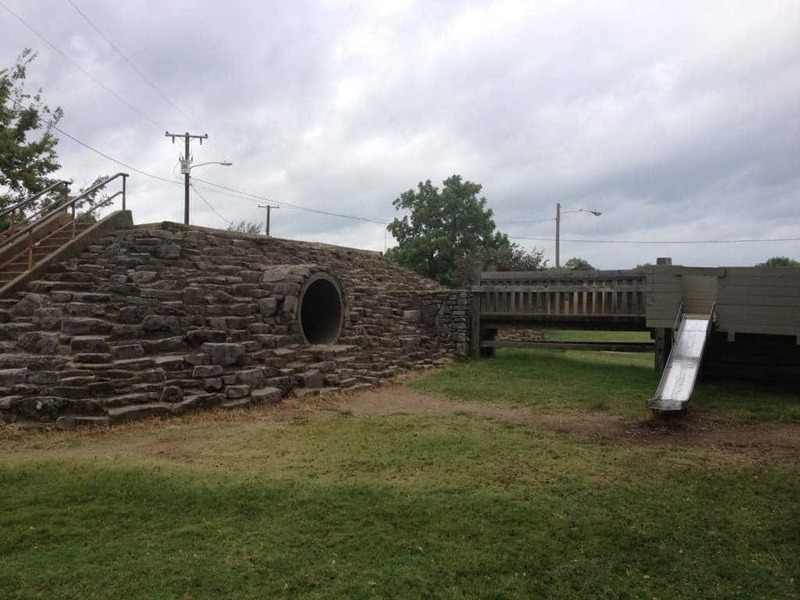 I’m not sure – reach out to Nashville Parks and Recreation department. Best place to grab breakfast or lunch prior to the park?? My favorite fun breakfast place is Pfunky Griddle. It’s about 10 minutes or so from the park in Berry Hill.